I wish I could present an exciting, exotic, and fascinating story about this vintage concoction. No story. Just that there are many variations, some of which date back to the nineteenth century. So rather than a great story from history, today’s tasting notes will be more of a horticultural nature. The bush – The blackthorn (prunus spinosa) is bushy, spiny plum-bearing shrub, often used as a natural “barbed wire” in rural landscaping. Interestingly enough, it is one of the hard woods traditionally used to make Irish Shillelaghs and walking sticks. 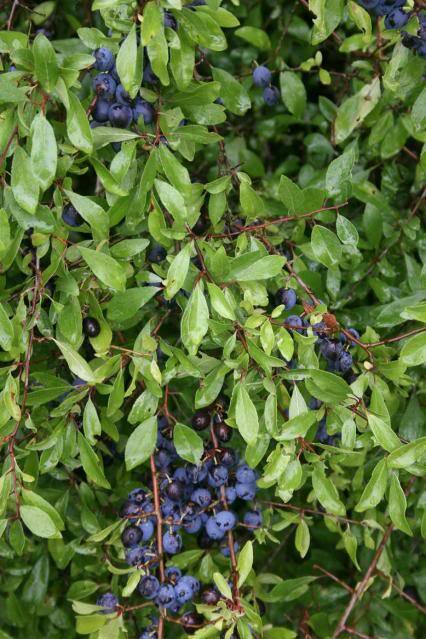 The plum of the blackthorn bush is called a sloe berry, a plum species from which sloe gin is derived. 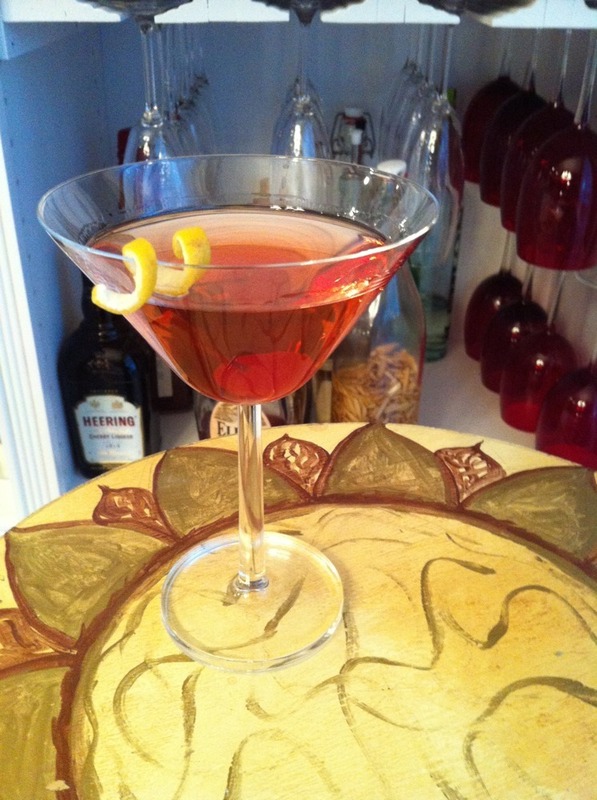 Stir with ice, strain into a cocktail glass, garnish with a cherry and a lemon twist. This cocktail was not a big hit for us. I love some bitter edges in my drinks, but this combination of the Dubonnet and the Kirschwasser was just too much. Kirschwasser is a clear fruit brandy made from the double-distillation of morello cherries. It is not a sweet liqueur, but tastes subtly of cherry with a slight bitter nut taste (from the cherry stones). I have to wonder about the quality or brand of the three ingredients. We used Plymouth for a smooth gin taste. However, we may have gone astray by using a cheap Kirschwasser (Hiram Walker). This is not a mistake Nicky and I make very often, but this may have been a big one. We have since ordered a higher-end Kirschwasser and will try this recipe again. The first sip alone was harsh and bitter. These are three strong-willed ingredients on their own. I don’t think they played well together, but that’s just me. Refered to as the “Irish Blackthorn” this version is strong on the absinthe up front, then the vermouth follows with a bit of cherry hint in the finish. The Irish whiskey slips quietly into the background.